Topsy is a 6-year-old grey tabby with a white chin, white chest and white paws. She’s very small and has a black stripe all along her back. 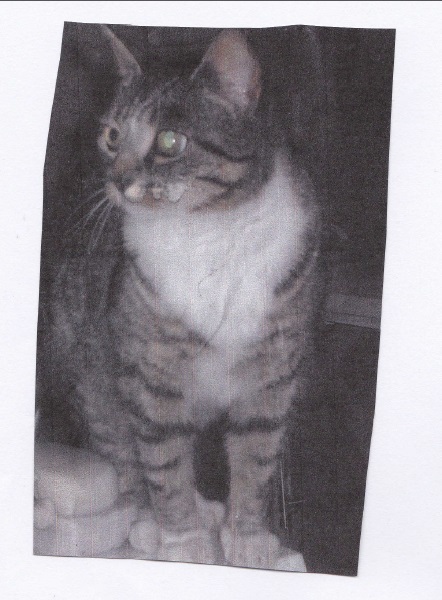 She went missing from the King George Road area of Stranraer on Friday 27th September and her family are very anxious to have her home again. If you may have seen Topsy, or know of her whereabouts, please contact us.